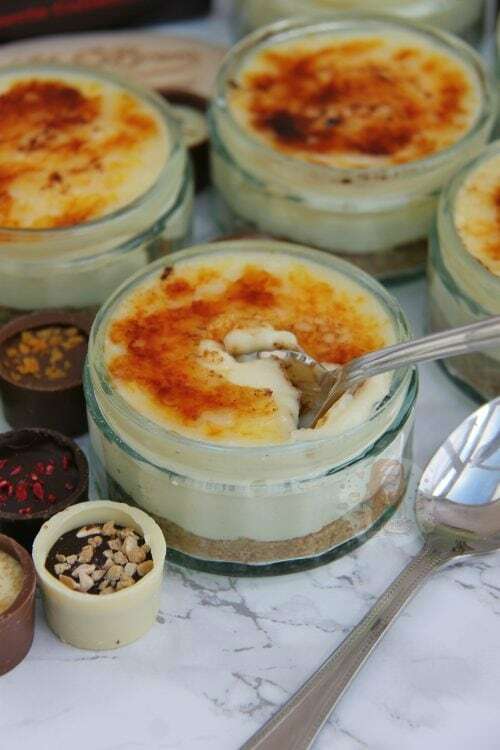 Easy No-Bake Individual White Chocolate Cheesecakes with an Easy Caramel Top making Creme Brûlée Cheesecakes that you will all love! So, this delicious dessert is something that I have always craved, and I have always had requests from you guys for. There are various different ways you can achieve the Creme Brûlée type affect, but I find individual desserts easier than a large one (because imagine cutting one giant layer of caramel) and using a Blow Torch is just easy. 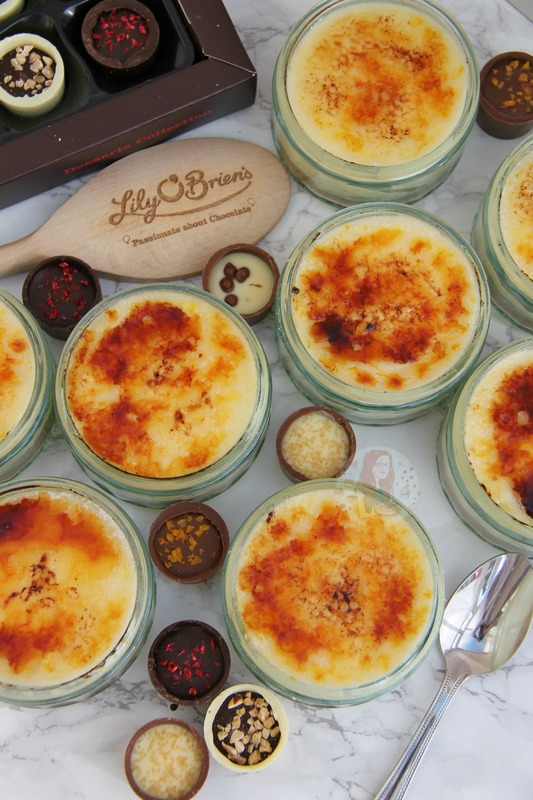 This dessert was inspired by Lily O’Briens Dessert Collection of chocolates. Honestly, it was a struggle to pic a dessert as I wanted to do them all. 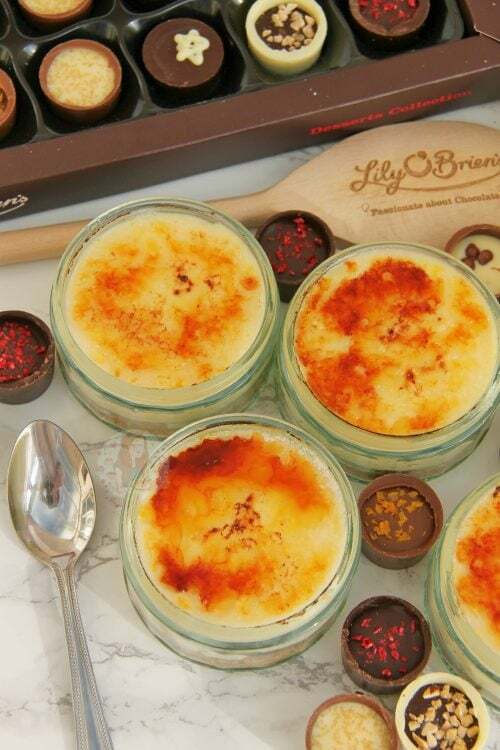 They have some delicious chocolates in the collection such as Hazelnut Torte, Passion Fruit Posset, Banoffee Pie, Creme Brulee, Raspberry Infusion and Key Limey Pie, and they are all DELICIOUS. I’ve got various recipes already on my blog that could be linked to these, however the Creme Brûlée just jumped out at me as its something I adore. I went out for dinner a few months ago, and on the dessert menu was a White Chocolate Creme Brûlée. Honestly, it was just delightful. Not too sweet, even though it sounds sweet, but heavenly. The Creme Brûlée Chocolate has a Milk Chocolate Coating, with a Vanilla Custard type filling, with a bit of caramel, and topped with a White Chocolate, so I did my best to create this in a dessert. I thought using two different types of cheesecake would get a bit faffy, so I just went for the White Chocolate. The simple caster sugar topping that you then torch creates a wonderful crunch and texture, as well as an extra flavour on the dessert. As you can see, my blow torching skills aren’t 100%, but I don’t care. I like my caramel to be a little darker on some bits than the others, but its also down to how flat the sugar was, and how far away the blow torch is and such. I think it gives it an extra element to have a pattern. You could easily try and make a large version, but be warned on the creme brûlée part, as that could get a little messy! You can find this delicious Chocolate Dessert Collection in various shops such as Boots, Tesco, Asda and more! 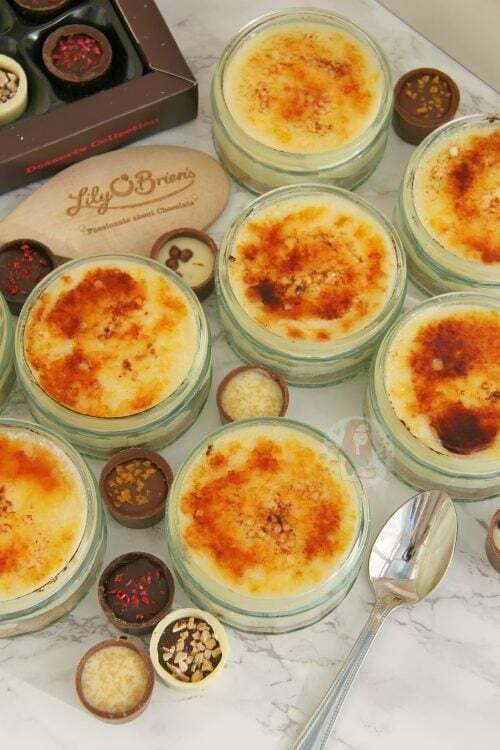 This post is sponsored by Lily O’Briens Chocolates – all views are my own. 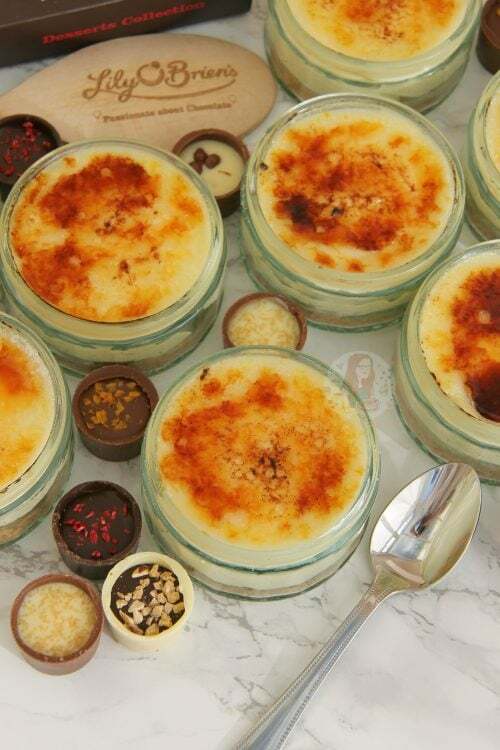 Prep 12 ramekins or small glasses for your cheesecakes. With a food processor, blitz your biscuits to a fine crumb. Melt the butter to a liquid, and then add and blitz again till combined. Split the mixture evenly between the 2 glasses/ramekins. It’s about one heaped tablespoon each. Carefully press the biscuits down firmly to create an even flat layer of biscuit. In a new bowl, melt the white chocolate carefully. Either use a double boiler, or in the microwave on a lower heat. In a mixer, add your cream cheese, icing sugar and vanilla and whisk till smooth. Add in your double cream and whisk until thickened. Fold through the white chocolate. Split the mixture between the 12 cheesecakes. Try and make the mixture as flat as possible on top for the Creme Brûlée part. Leave the cheesecakes to set for an 1-2 hours in the fridge. Once set, sprinkle over a layer of caster sugar. Its a couple of millimetres thick, so not too much, but enough to cover the cheesecakes comfortably. I use about 2/3 of a dessert spoonful. So about 2 teaspoons worth. Once sprinkled on, carefully blowtorch the cheesecakes from about 10cm away so its not a concentrated heat. Gradually the sugar will start to turn, and then suddenly it will caramelise all over. If you do it too close for too long, it can burn so be careful. These are obviously easier with a chefs blowtorch, which are quite inexpensive to buy and are a useful kitchen tool in my opinion. 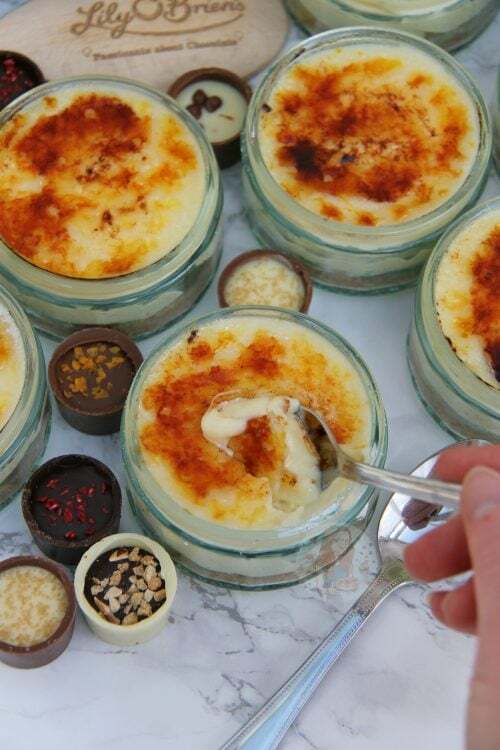 You can try the creme brûlée under the grill, but it would have to be on the highest setting for the shortest amount of time, so that the cheesecakes aren’t ruined in the process. Using White Chocolate is an optional thing, but I do love the taste. 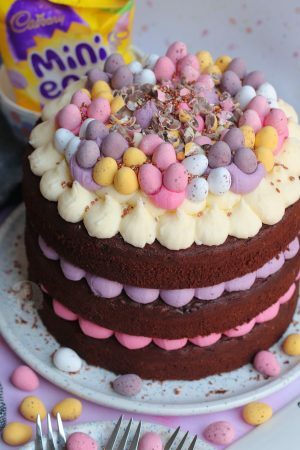 Also, as these are inspired by the Lily o’Briens Dessert Collection, I wanted it to be in keeping with the chocolate of choice. 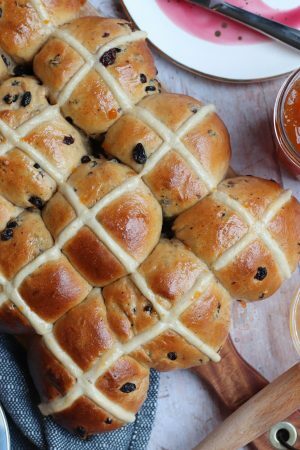 These are delicious on the day of making, but do last for 2-3 days in the fridge. Find my other Recipes & Cheesecake on my Recipes Page! 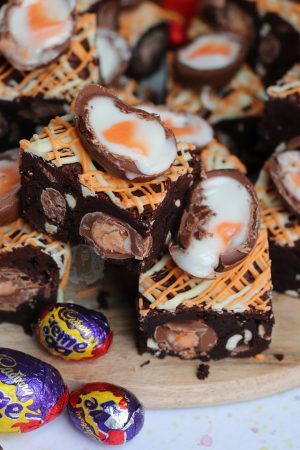 This post is also sponsored by Lily O’Briens chocolates – all views and opinions are my own. 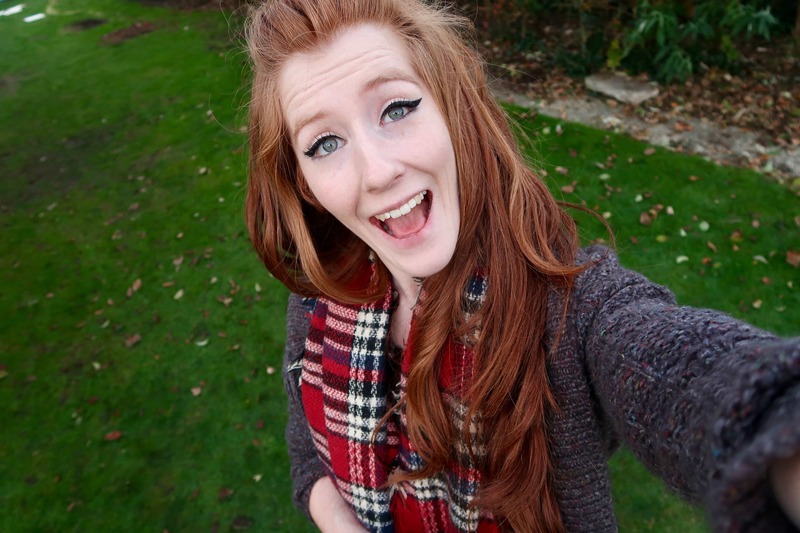 Older Next post: My Blog’s 3rd Birthday! Hey Jane, this looks lush ❤. 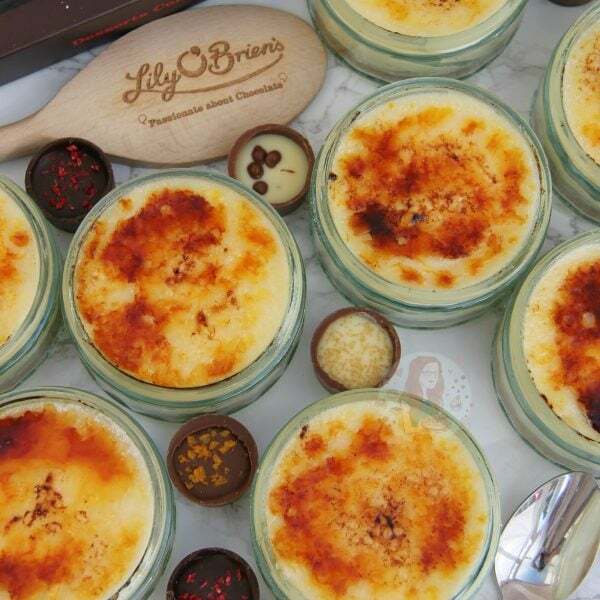 What size ramekins would u suggest for these creme brulee 200ml??? What size did u use to make 12 please. 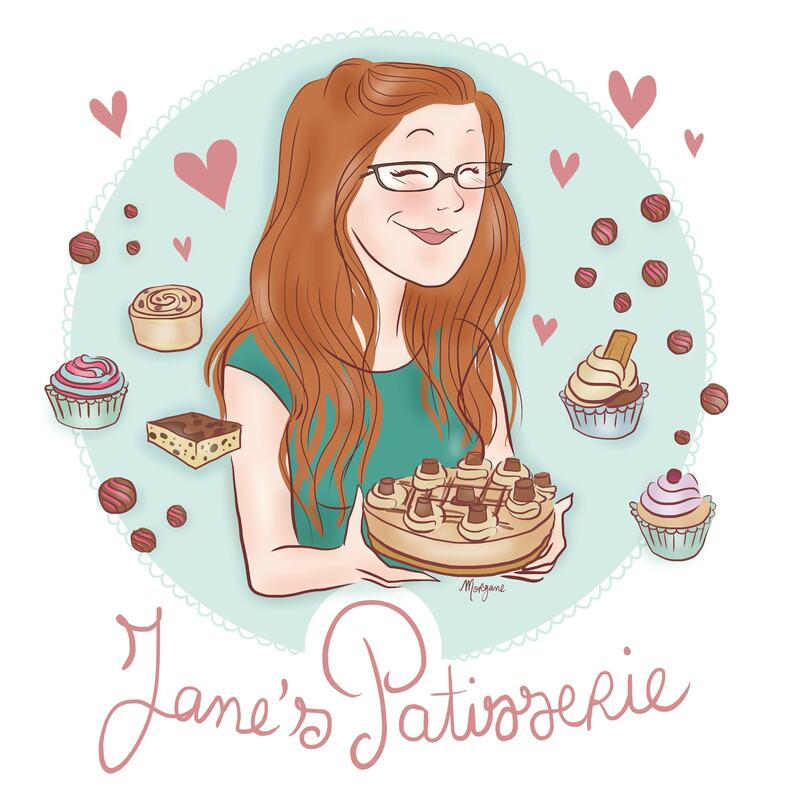 These look WONDERFUL, Jane! Another reason to convince my worried mother to allow me to get a blowtorch, haha! Thank you, Kelly!! And yessss do it, they’re so good!